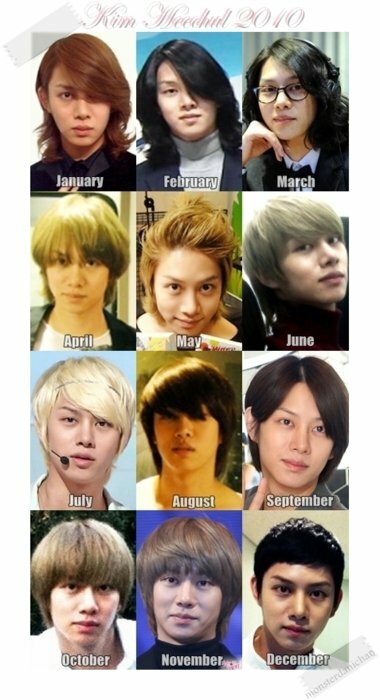 Heechul’s monthly hairstyle trend in the year of 2010!!! I’m sure u’ll ♥♥♥♥ this hehe.. This entry was posted on December 21, 2010 by heedina. It was filed under Boy Band, Images and was tagged with heechul, kim heechul, Super Junior, Super Junior Heechul.